Why is OCD more than just a rigid routine? After all, we all go about our day in some orderly fashion. Think about it! I bet it’s fair to say, you follow a routine during the morning before work or in the evening. It may be getting up at a specific time, making coffee, reading the paper, or possibly an evening walk following the work day. So how is it for you when the routine gets interrupted? Maybe you over slept or had a late work meeting. What happens do you feel ‘off? When it comes down to it, it was not what you were expecting! So given this, would you say you have OCD just because you like to have some say over how things go in your life? Here’s how OCD is significantly different. Think of your brain as ‘sticky’ similar to bubble gum. Now think of the thoughts we have throughout the day. For most of us, we are able to acknowledge some weird and uncomfortable thoughts that we may have. Here’s an example. Have you ever been driving down the road and you may think what would happen if I crossed the double yellow line or hit the cement divider. With this thought, for most of us, we are able to refocus back to driving and our next task, not thinking much further about that bizarre thought. The difference with OCD’s ‘sticky’ brain, an individual who has that same thought, may immediately think they want to hurt themselves or others and the thought may play over and over again perhaps hours on end. Because remember, the thought is ‘stuck’ to the ‘sticky’ brain. It’s so hard to escape the thought because it surrounds the person with fear and anxiety. Website design: Arrowhead Design Co. Copyright 2018. 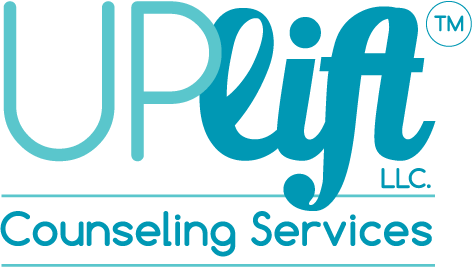 Uplift Counseling Services LLC.